Bishkek - gorge Chong-Kyzyl-Suu - mountains Terskei Ala-Too - spring Dzhiluu-Suu of 2340 meters above sea level - The Glade Archa-Ter - The pass Archa-er - river Dzhety-Oguz - river Telety - glade Telety - river Karakol - peak Karakol - gorge Karakol - town of Karkol - Bishkek. Distance of the route: 1362 km. Season: from July, 10th till September, 10th. The Best time for travel: July, August. Duration of the tour: 10 days, 9 nights. Distance in an active part of a tour: 40 km. Arrival in Bishkek. Meeting in airport. Transfer to the hotel, accommodation. Rest. Breakfast. 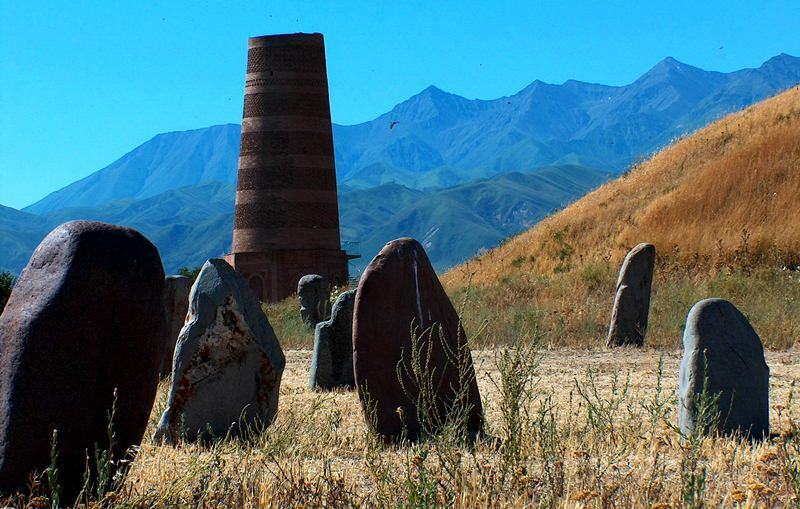 Sightseeing of Bishkek: visiting of the main area of the country - Ala-Too. It is Ala-Too in translation from the Kirghiz language means «Snow mountains», symbolizes the nature of the country which two thirds make mountains. After lunch the trip to gorge Is Ala-Archa (38 km). Walk in vicinities of natural park is Ala-Archa. Returning to Bishkek. Day 2. Bishkek - settlement Balykchi - gorge Chong-Kyzyl-Suu - springs Dzhyluu-Suu of 2340 meters above a level (393 km). Breakfast. Transfer: Bishkek - gorge Chong-Kyzyl-Suu. After Bishkek we pass narrow gorge Boomskoe on which the river Chu flows. More than 100 kilometers we shall go on southern coast of lake Issyk-Kul. A lunch in a way. From settlement Kyzyl-Suu (Old name of Pokrovka) we shall turn on the south, from good, asphalt road - our way lays to mountain ridge Terskei-Ala-Too. All right coast of the river Chong-Kuzyl-Suu is covered by the hills, combined of red adjournment of clay. We pass resort Dzhyluu-Suu, soon a highway comes to an end, our hiking in mountains Terskei Ala-Too here will begin. 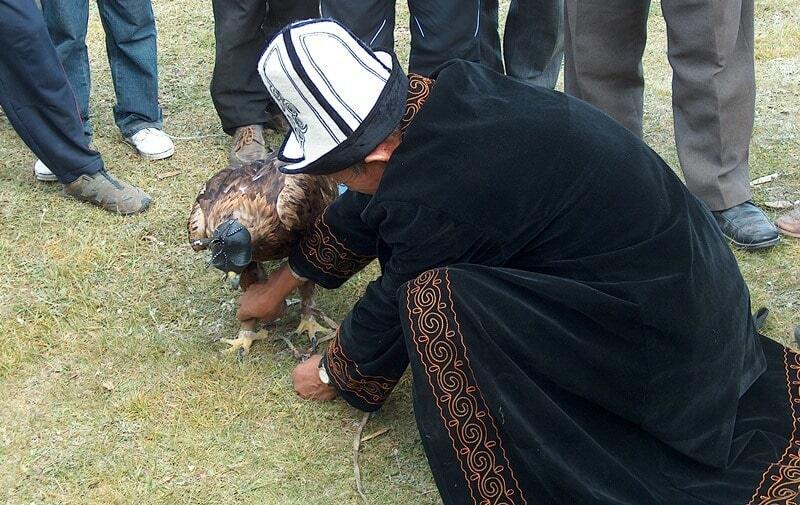 There are some houses of kyrgyz shepherds. It is possible to swim at radon thermal springs with temperature to 40 C. Go over the bridge to the right bank of river, pass meteorological station and after 500 m – stop. Walk in vicinities of gorge, preparation for a mountain hiking. Dinner and overnight in tents. Day 3. Gorge Chong-Kyzyl-Suu - the Glade Archa-Ter (16 km). Breakfast. Hiking: springs Dzhyluu-Suu - glade Archa-Ter. We pass the river through the bridge and in some minutes we pass a geophysical meteorological station. In half an hour we pass the following river through the bridge and gradually we go deep into gorge Kashka-Tor. Lunch in a way. This day our way lays upwards to pass Archa-Ter, we pass Alpine and then subalpine to meadows we approach to pass. Dinner and overnight in tents on a green glade surrounded by green slopes. Day 4. A glade Archa-Ter - pass Archa-Ter 3800 meters above sea level - river Dzhety-Oguz of 2640 meters above sea level (7 km). Breakfast. Hiking: glade Archa-Ter - river Dzhety-Oguz. Today our hiking begins with rise on an abrupt talus on pass, the track rises some streamers on a slope, soon we on pass. The pass has abrupt descent to the east by a small glacier and lake. Lunch in a way. In river head this river one of the most beautiful tops of mountains Terskei Ala-Too located - peak Oguz-Bashi of 5168 meters above sea level. Dinner and overnight in tents at the river Asan-Tukum, the left inflow of the river Dzhety-Oguz. Day 5. The river Dzhety-Oguz - river Telety - glade Telety of 2960 meters above sea level (7 km). Breakfast. Hiking: river Dzhety-Oguz - glade Telety. We wade the river Dzhety-Oguz and we leave on the Alpine meadows to place shepherds. Lunch in a way. Through 5 kilometers of a way the wide, beautiful gorge Telety on the right opens. Dinner and overnight in tents on coast of the river before, turn to pass Telety. Day 6. 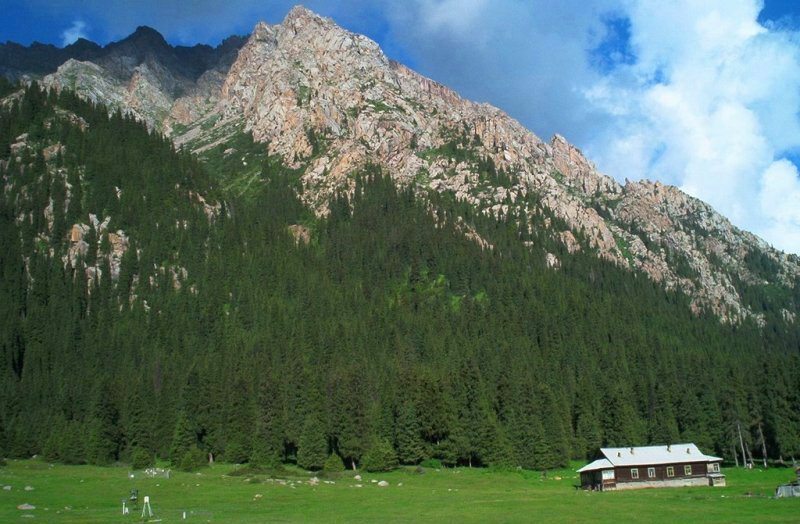 Glade Telety - pass Telety of 3800 meters above sea level - the river Karakol of 2590 meters above sea level (7 km). Breakfast. Hiking: glade Telety - river Karakol. At rise on pass Telety, our way lays through a moraine in July covered by a snow. We rise on pass on an abrupt grassy slope, between huge stones and further on a talus traverse with ascent we leave on pass. Lunch in a way. Behind pass, from the right party, on northern slope a small glacier. Dinner and overnight in tents. Day 7. Radial walking to Karakol peak 5280 meters above sea level. Breakfast. Go up along the left bank of Karakol river and ford Telety river. Reach memorial stone with names of lost alpinists. Further we see beautiful view of Karakol peak and glacier. On the way we see picturesque lakes. Reach tongue of glacier – from here we see surrounding peaks, glaciers and gorges. Return to base camp. It is possible to go up to Panoramny pass if we have enough timeб we see from Pass 30 years of VLKSM peak, Przhevalsky peak, Dzhety-Oguz wall peaks 5181 meters above sea level, Dzhigit peak 5072 meters above sea level, Ak-Suy wall peak 5020 meters above sea level are seen. Overnight in the tents. 8 Day. The river Karakol - bridge on the river Karakol of 2200 meters above sea level (10 km). Breakfast. Hiking: river Karakol - bridge on the river Karakol. Our way lays downwards on gorge Karakol, soon we reach a falls on the river Karakol. Here there is a former camp of climbers. Lunch in a way. On the bridge we come over to the right party of the river where we stop on overnight. The end of hiking in mountains Terskei Ala-Too. Dinner and overnight in tents. 9 Day. 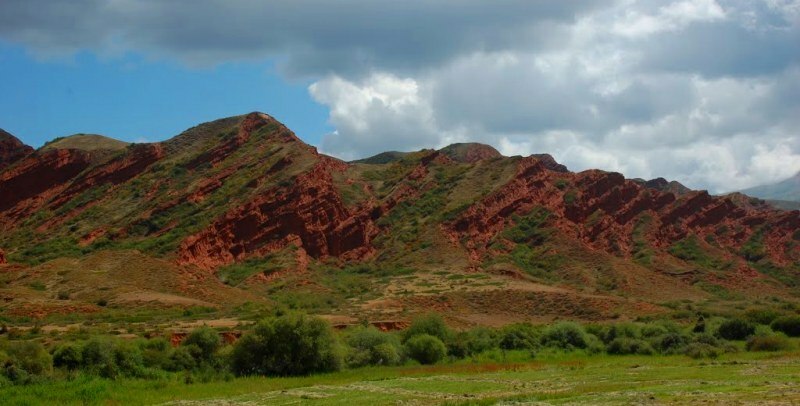 Gorge Karakol - town of Karakol - lake Issyk-Kul - town Cholpon-Ata - settlement Balykchi - Bishkek (445 km). Breakfast. Transfer: gorge Karakol - town of Karakol (25 km). Arrival in the town of Karakol. Short excursion on town: visiting Dungan a wooden mosque, Troitskaya orthodox church, a local market. Transfer: Karakol - Bishkek (420 km). Northern coast of lake Issyk Kul picturesque and beautiful. Arrival in Bishkek, transfer to hotel, accommodation. A farewell supper and overnight in hotel. Transfer to airport. Departure from Bishkek.